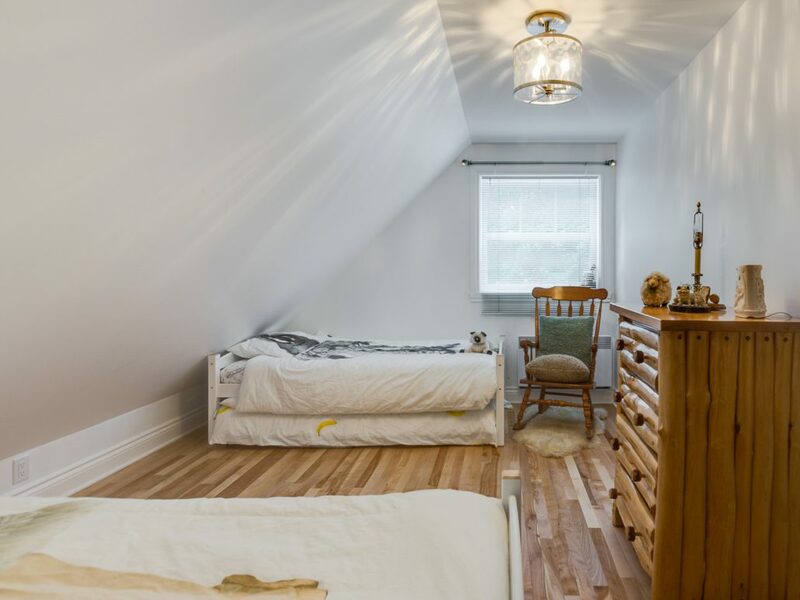 Discover this renovation and layout project of two bedrooms in an attic in Rosemont. You too can benefit from our experience as a residential renovation contractor and our turnkey residential renovation service. Call us for a free consultation. 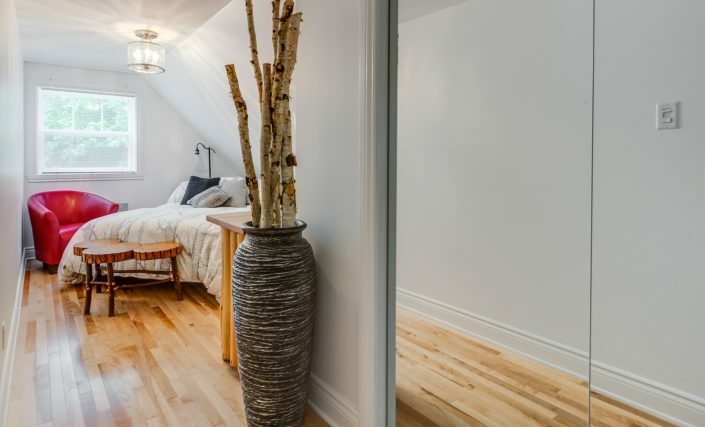 Fitting a bedroom in a space as small as an attic is a major challenge! 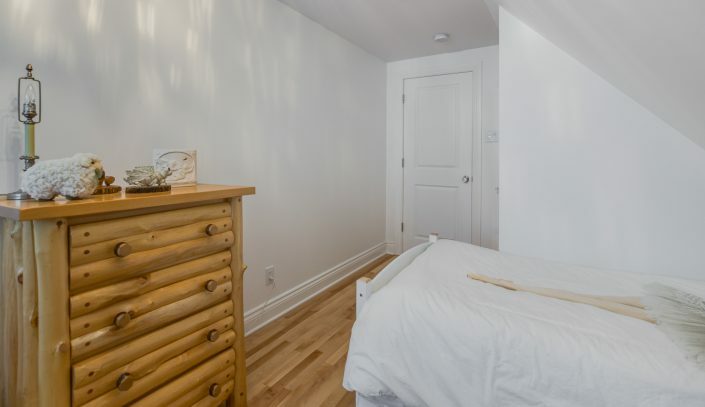 Imagine two bedrooms in an attic! 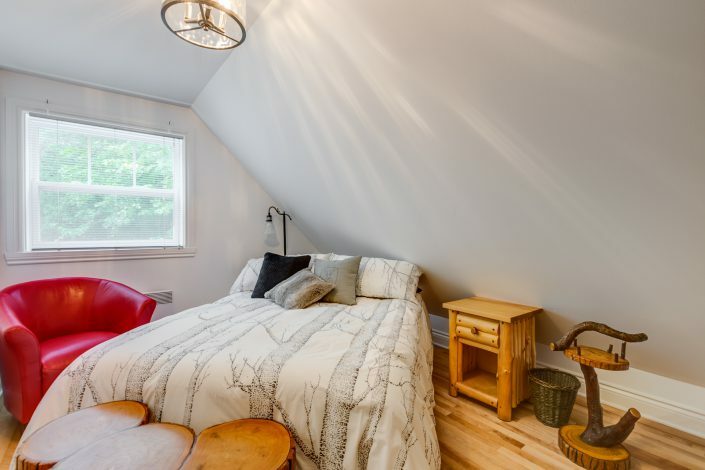 We have successfully met this challenge by creating two bedrooms in an attic. First of all, we refurbished the insulation to ensure a comfortable temperature. Then we solidified the floor and inspected the wall rafters to ensure their ability to support lighting, ventilation and electrical wiring. Our team also added more resistant plastering to carry out the painting work. We have also added a safe staircase so that occupants can easily reach the rooms. Our client wanted to give each room a rustic look. 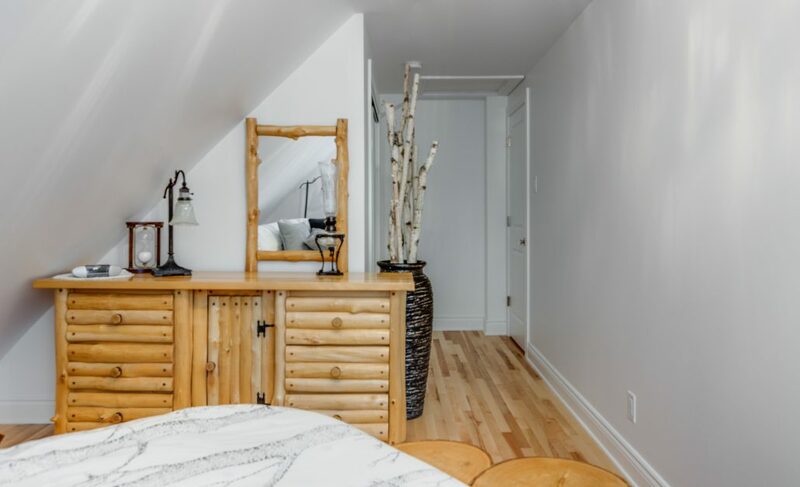 Therefore, we opted for a hardwood floor in both bedrooms as well as furniture created by a cabinetmaker to enhance the “chalet” style of the two bedrooms. Considering the brightness provided by the two windows, we chose ceiling lights for the only lighting. As a general contractor specialized in residential renovation, it is essential for us to have partnerships with electricians, painters, plasterers and architects to achieve the results required by the client and to meet the standards prescribed by the Régie du Bâtiment du Québec and the APCHQ. If you would like to know more about this attic bedroom renovation project in Rosemont, our turnkey renovation services, our prices, or our services, we invite you to contact us by email or phone. Your first consultation is free of charge! Our team will be happy to welcome you and answer your questions.